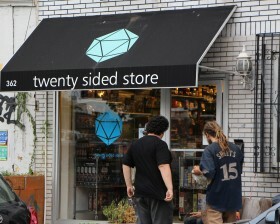 Magic: The Gathering’s many devotees are indeed gathering today at the Twenty Sided Store to celebrate the latest release in a 20-year addiction. The card game’s “Theros” expansion comes out this weekend, and fans are celebrating the only way they know how — by playing Magic: The Gathering. Chato points out Magic isn’t exactly the most newbie-friendly game in their inventory — their Sunday Settlers of Catan tournament better fits that bill. 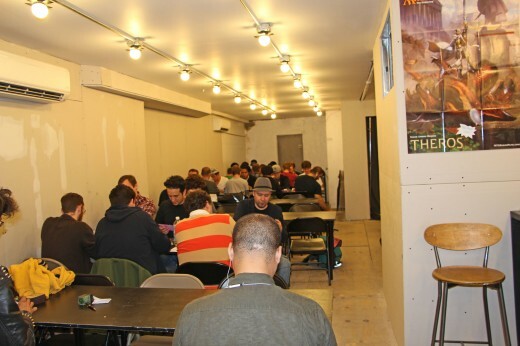 But even those who don’t play the game can admire the new expansion’s many “Shirtless Dudes,” as local Magic blog Hipsters of the Coast pointed out.